Pros: You get to see the exact date that your case was received. Cons: You no longer see the processing stage of your case. 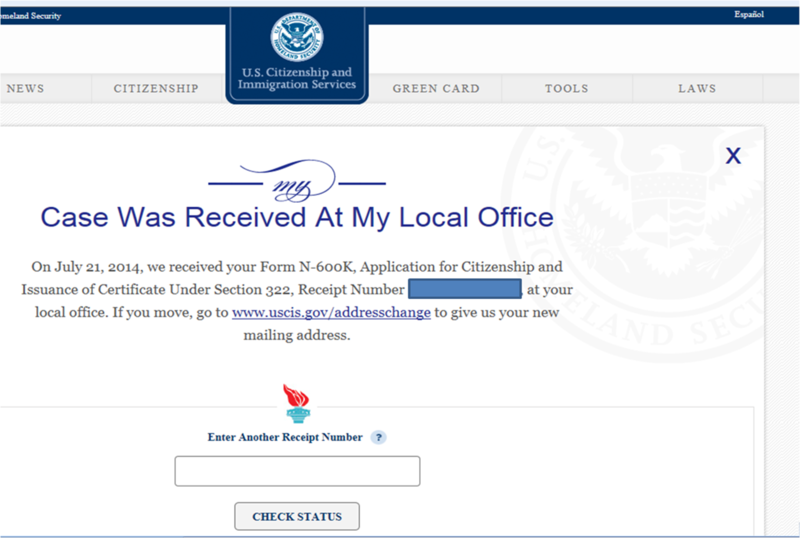 I called USCIS to see exactly which local office would be handling our case, since the best option for us is Honolulu. After an hour-long hold, I was able to get our cases transferred to Honolulu and was told that they are currently processing cases submitted in May. For a timeline, that means that it will be another two months before they start working on Sky and Fire's cases. Cases usually take three months to process. Provided the kids are approved, we'll be sent an interview notice with a date about three months in the future. Put all that together and we can estimate that it will be another eight months before we'll be going to Honolulu for citizenship hearings. you could have another kid in 8 months! love ya! the 8 months will go fast. oh no! We're going to wait a while on that one. :) We will have two new Americans though.